Penelope offers a discount of 50% on their first / introductory lesson! Durham University and Trinity Laban Conservatoire graduate. 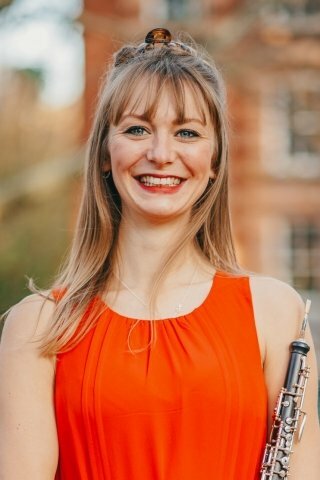 Available to teach lessons in oboe, cor anglais and piano. Academic background - offering theory, GCSE and A Level music tuition. Norwich School Theory, Oboe and classroom teacher (2013-2014). Private oboe and piano tutor. Person-centred, reflective practice, nurturing creativity and expression.